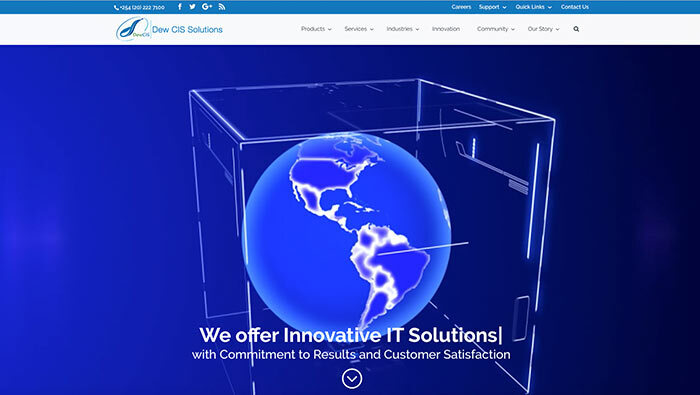 Dewcis Solutions Limited is proud to announce the launch of our new website https://www.dewcis.com which is a throwback to our expanding role as a global leader in IT solutions and services. Our new website provides a clear message of who we are, what we stand for and where our values lie as a business when implementing, delivering and maintaining IT solutions and services. The website provides our visitor a transparent way to learn about Dewcis products and services and also to allow the visitors to browse information based on choice. It is also fully responsive with mobile devices, making it easy to navigate on a wide range of web browsers and portable devices. Amongst the new features the site boasts of an integrated social media buttons for Facebook, Twitter and LinkedIn to foster improved communication with our clients. We will be constantly updating our content with helpful information, articles, blogs, newsletters and client successes in the success stories section. We hope you find the new website refreshing and informative.